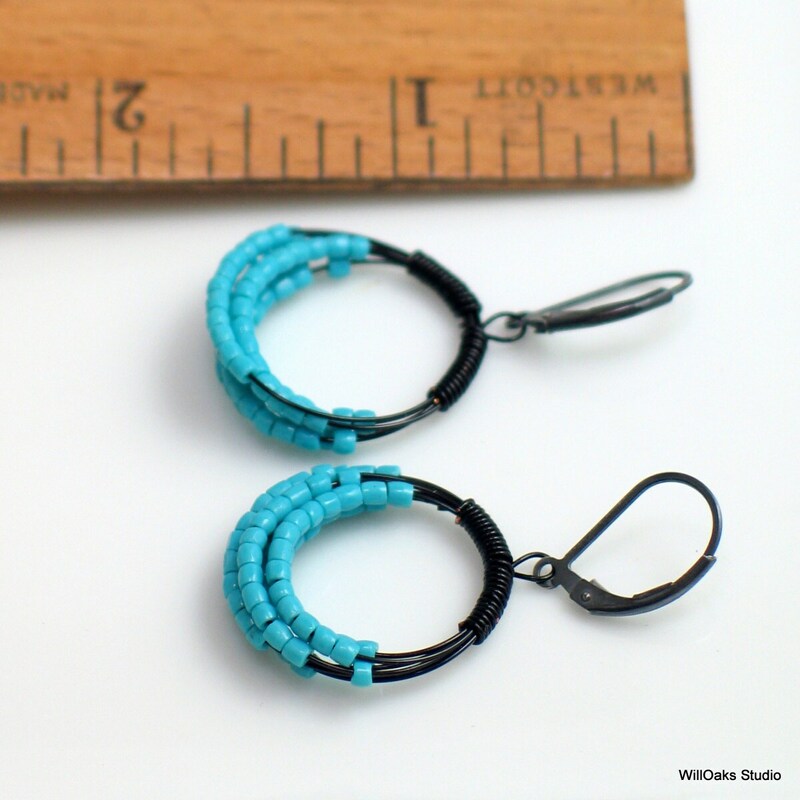 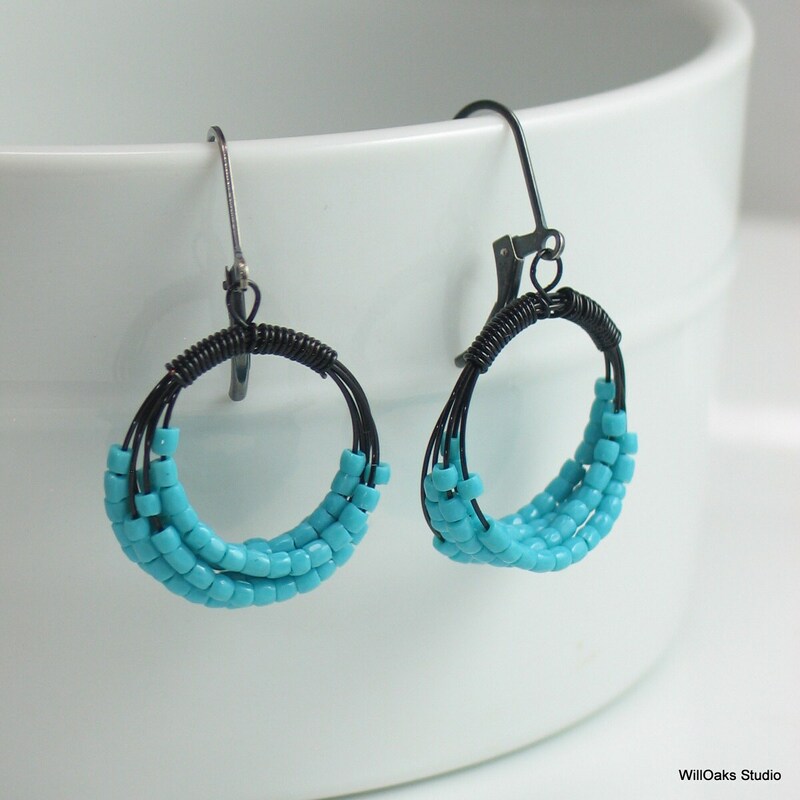 Tiny Hoop Earrings feature vintage beads that suggest the colors of turquoise gemstones showcased on my original hoop earrings of coiled and bound wire. 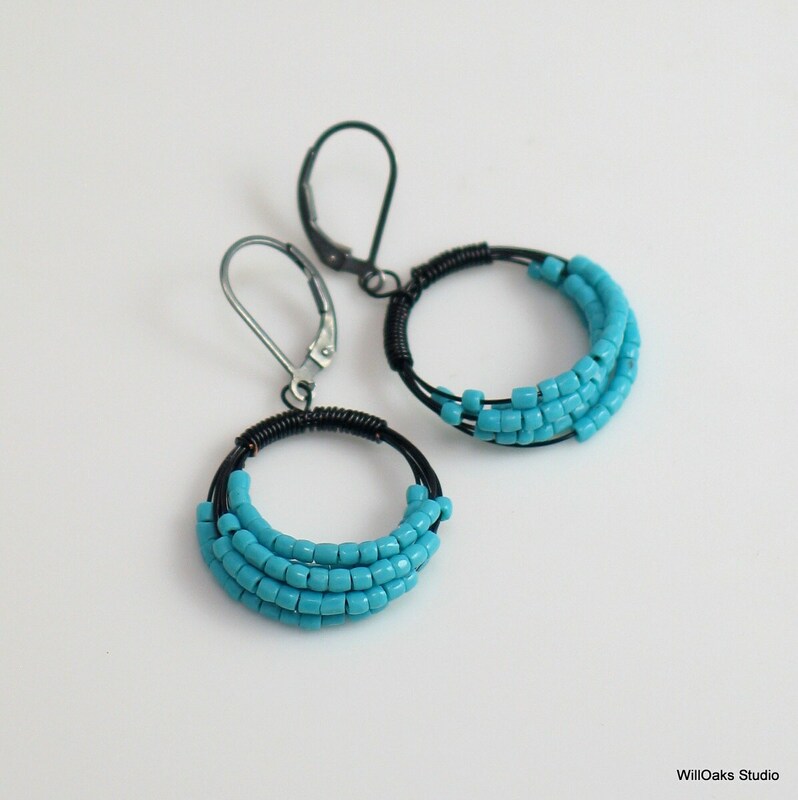 Black copper wire is coiled to contrast with the bright blue seed beads, and oxidized sterling silver leverback earrings allow the hoops to dangle freely. 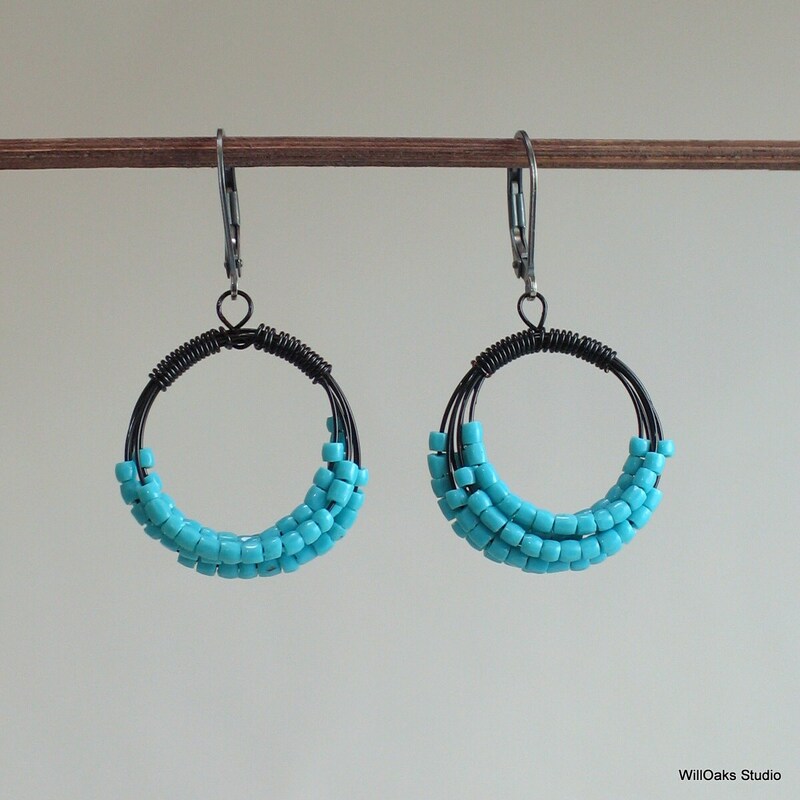 Dainty and detailed hoops are about 7/8" diameter and with sterling silver ear wires added bring the total earrings to about 1 5/8" long. 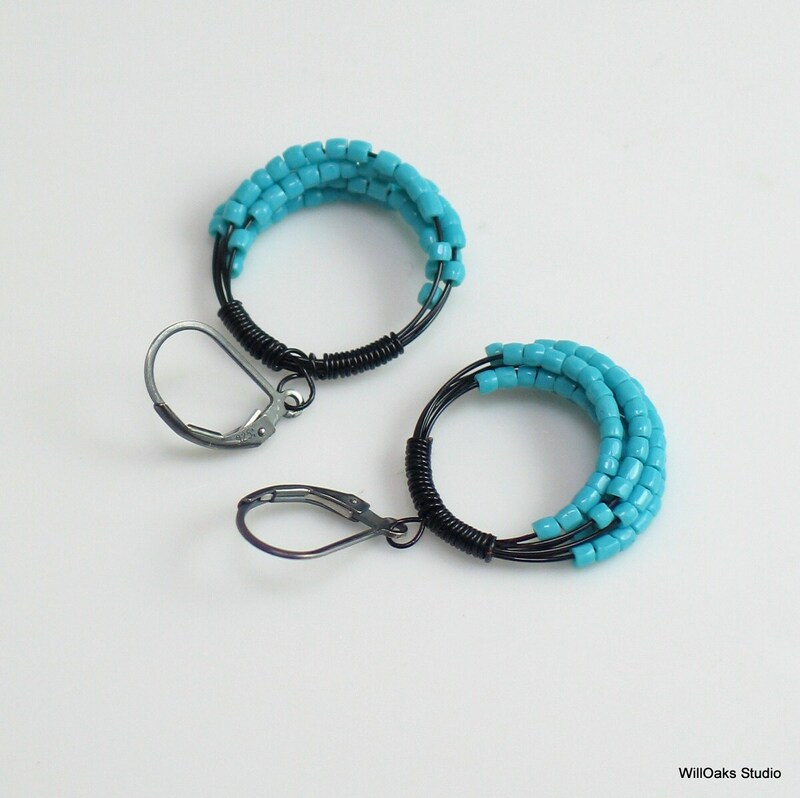 Ready to ship in my signature box, and ready to gift or to enjoy.